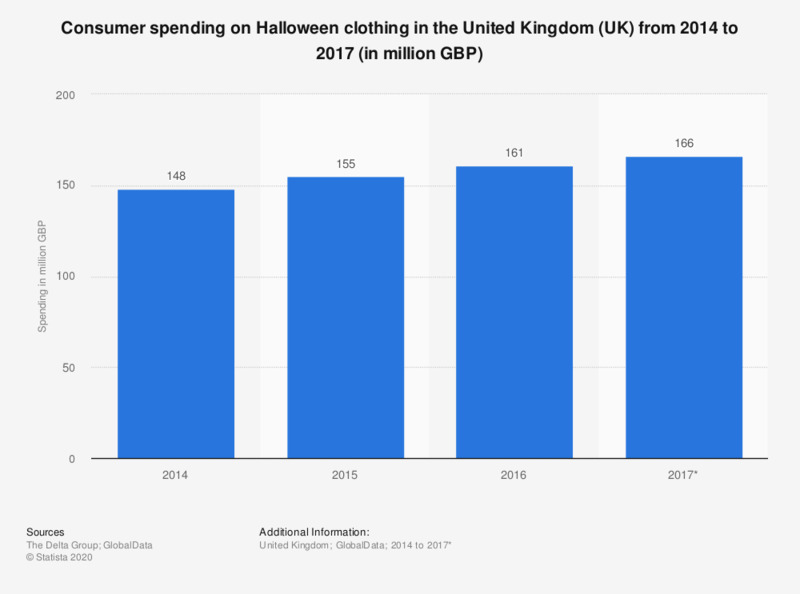 This statistic shows consumer spending on clothing for Halloween in the United Kingdom (UK) from 2014 to 2016, with a forecast estimate for 2017. Spending on Halloween clothing was forecast to rise 166 million British pounds in 2017, up from 161 million in 2016. * Data for 2017 is estimated.